Jim Vatcher moved up to single-A Spartanburg in 1988 with some pitchers, including Bob Hurta, according to The Spartanburg Herald-Journal. By that May, Vatcher could only praise his teammates, The Herald-Journal wrote. "Our pitching is excellent. We've had a few rough starts but we've come back. Our pitching is the best I've seen," Vatcher told The Herald-Journal. "Last year we didn't know what to expect. This year we know we have the talent and we're putting it to use." Hurta went on to a season that year where he started 23 games, going 7-8 with a 4.60 ERA. After a year away from the game, Hurta went on to play in four more seasons. He made AAA, but he never made the majors. Hurta's career began in 1987, taken by the Phillies in the 23rd round of the draft out of his native Texas. Hurta started with the Phillies at short-season Utica. He got into 21 games, starting one. He had a 5.70 ERA. He moved to Spartanburg for 1988 and joined the starting rotation. Hurta returned to the field with the Astros in 1990, playing at short-season Auburn. He got 15 outings, five starts and posted a 4.31 ERA. He made single-A Burlington for 1991, turning full-time reliever. In 56 games, he had a 3.32 ERA. He then made AA Jackson and AAA Tucson for 1992 and 1993. He had a 2.42 ERA between the two levels in 1992, but a 4.60 mark in 1993. 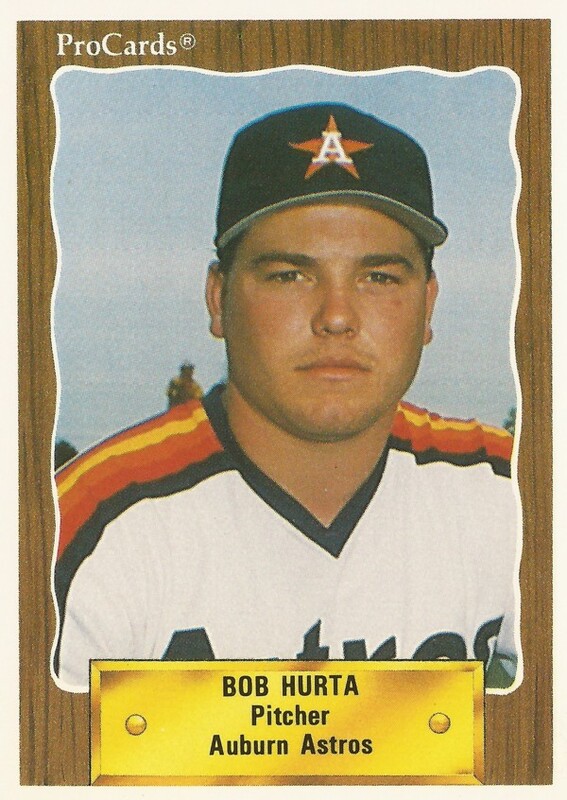 Going into 1993, Hurta threw two hitless innings in a spring game against Detroit. He ended up getting 36 outings at Jackson and eight at Tucson, ending his career.